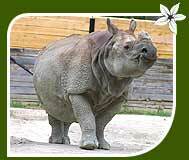 Wildlife destinations of East India are on the focus of this tour package Wildlife Conservation East India. 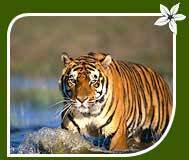 India Jungle Tours has included trips to Kaziranga National Park, and Sunderbans National Park besides sightseeing at Delhi and Calcutta. Wildlife enthusiasts can explore these wildlife reservoirs of East India. These areas deserve the attention of all as environmental degradation is a great challenge for sustainment of these natural treasures. After early breakfast transfer to airport to connect flight for Guwahati and transfer to Kaziranga National Park (217 Kms. / 4½ hr.). On arrival transfer to hotel. In the evening tribal or Bihu dance (subject to availability) by log fire under bamboo grove along with dinner. Overnight at hotel. After breakfast Wildlife viewing and nature watch in the park. Late afternoon tribal village visit, Assamese village to see silk worm rearing. Dinner and overnight hotel. Early morning visit to the National Park on elephants (optional). Afternoon visit to the park for wildlife viewing. Overnight at hotel. After breakfast drive to Guwahati to connect flight to Calcutta. Arrive in Calcutta in the evening. On arrival transfer to hotel. Evening is free for leisure. Overnight at hotel. After breakfast drive to the jetty at Sonakhali. The 2½ hour drive takes through the lush-green rural Bengal landscape, dotted with its picturesque villages and quaint markets. You cruise down the rivers Hogol, Gomor, Durgaduani, Bidya and the Gumdi. On this stretch alone you can see six different types of Kingfishers! A couple of pleasant hours later you arrive at the Sunderbans Jungle Camp on the Island of Bali. After lunch and a short rest in the well-appointed cottages drive down to Sajnekhali, to see the Mangrove Interpretation Center and return via the Sudhyanakhali watchtower. You can either dine aboard the boat or at the resort. After breakfast full day cruise towards the canopied walk at Dobanki. Later proceed to the furthest point-Netidhopani, where you can see age-old excavations and view game from the watchtower. If you are lucky you can spot the famous swimming tigers of Sunderbans. Keep a sharp watch for basking Estuarine Crocodiles and the elusive Irrawady Dolphins. Return late in the evening after watching the spectacular sunset. Overnight at hotel. After breakfast take a tour of the island village of Bali, where you can watch local residents conducting their everyday chores-fishing, weaving and boat-making. A short cruise in country boats along the narrow canals completes the Sunderbans experience. After lunch drive to Kolkata. On arrival connect flight for onward destination. After breakfast sightseeing of the city, which includes the Victoria Memorial, Kali temple, Howrah Bridge. Later transfer to Airport to connect flight for onward destination.